We supply an infant mannequin to each participant, ensuring plenty of practice time. The CPR skills are then also practiced on child and adult dolls. The CPR module is in line with current best practice and up to date protocols in accordance with the Resuscitation Council of Southern Africa. Following a burn, proper emergency first aid care can ensure a positive outcome. We will teach you how to manage various burns, as well as important do’s and don’ts when it comes to treating a burn wound. Every parents fear when introducing finger foods and solids! We will teach you how to recognize mild and severe airway obstructions, and how to remove an obstruction. We teach you how to recognize a mild or severe Allergic Reaction, and how to treat them accordingly. Confusing and scary for first time parents! We teach you what is normal, how to manage a fever, and when to take the child to the doctor. This course is suitable for members of the public who would like to learn basic life saving skills. Including CPR and how to remove an airway obstruction. It is suitable for Parents and other child minders. 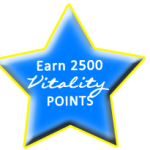 This course earns you 2500 Discovery Vitality Points. This course is aimed primarily at those who are expected to provide medical care in the workplace. 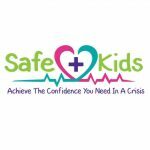 This is ideal for teachers, swimming instructors and anyone else looking after children. This course earns you 7 CPD Points. Comply with the Occupational Health and Safety Regulations.